The “other” Bavarian club and the first real traditional powerhouse in German football, “Der Klub” find themselves 7 points off the drop in what has been a hard fought first half of the season for them. Nürnberg have the youngest squad in the league and many pundits have reservations over their ability to stay up with such an inexperienced team. Youth in football is a gamble, more so when the team find themselves in the precarious position of battling against relegation from the start. On one hand it has been the invariable trend in German football over the last couple of years but it is rarely associated with the experience necessary to avoid the drop when the season comes to a close. That said, Nürnberg have performed admirably considering their resources and personnel. Dieter Hecking put his faith in youngsters like Mehmet Ekici, Julian Schieber, bothon loan from Bayern and Stuttgart respectively, Jens Hegelar, and rising star Ilkay Gungodan. On average, Nürnberg use the youngest starting eleven in the league so their results so far are rather satisfactory. They had a rough patch in November but overall have had some good results including wins over Schalke, Wolfsburg and Bremen. Nürnberg have struggled on the road but their home record is respectable, collecting 15 of their 22 points in front of the home support. Aside from their underwhelming record on the road, Nürnberg’s biggest problem has been scoring. Only two teams in the league have scored fewer goals than Hecking’s men. Nürnberg have scored more than twice in a match only on three occasions in the Hinrunde and two of those came against two of the league’s weakest defenses (Köln and Bremen). Julian Schieber has taken full advantage of his loan spell. Best performer: Julian Schieber. Stuttgart sent Schieber on loan because three strikers would have been ahead of him in the pecking order. Schieber did quite well last season when given a chance with the first team before cooling off towards the end and a loan move was ideal for his continued development. The 21-year old U-21 German international started every game this season and has so far scored 4 goals, which is far from impressive for a striker. However, he has the second most assists in the league (8) and was involved in 12 of Nürnberg’s 22 goals this season. 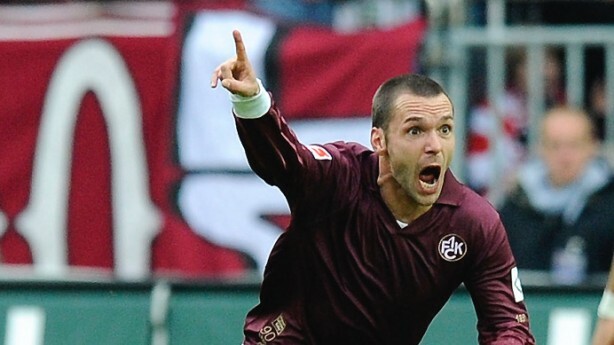 In fact, Nürnberg have lost only once when Schieber scored. Biggest disappointment: Albert Bunjaku & Mintal. One was Nürnberg’s top scorer last season and the other the league’s top goalscorer in 2005 and two-time Slovak player of the year. Between the two of them, they have only played a total of 9 games so far. Amidst Nürnberg problems scoring goals this season their presence could have gone a long way in solving those problems. Bunjaku suffered a serious injury in September and has been out since. He is projected to return in March next year but he is likely to miss out on the rest of the season. Mintal on the other hand has been rumored to have a falling out with Hecking. His playing time gradually decreased over the last two years and this season he has only started 6 times, being substituted in all 6 matches. In his time on the pitch he failed to make any real impact but a player like Mintal is very much dependent on getting a consistent amount of playing time and support from the coach. Considering he is 33 years old he may have just worn out his welcome at Nürnberg. 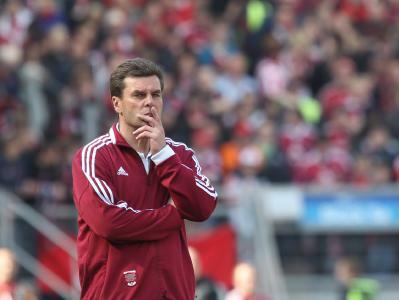 Dieter Hecking has a lot to ponder when the season resumes next month. Question – Can faith in youth vindicate Dieter Hecking? Hecking’s trust in youth is admirable but is it enough to keep the club in the Bundesliga? Last season they survived the drop only through the relegation playoff. An 11th place finish this season would be a great improvement but as has been said so many times, youth is fallible and can only go so far. The tendency of young sides is to capitulate as the season progresses. It is fair to say that Nürnberg have so far overachieved and whether they can continue that and grow as a unit is the biggest question facing them. It will be interesting to see where Nürnberg stands by April because they are facing a tough schedule in the last month and a half of the season. As one of the two teams that gained promotion, Kaiserslautern first and foremost look to stay up as their primary goal this season. If the season ended tomorrow Marco Kurz and company could not be blamed for feeling satisfied. They find themselves six points out of the relegation zone and have in Lakic and Tiffert two of the league’s best performers so far. Kaiserslautern’s brand of football has been surprisingly nimble which is all the more impressive considering they lost two of their most important players over the summer in Sidney Sam and Georges Mandjeck, both crucial in their campaign for promotion. Marco Kurz working out his team's tactics in training. They started their season with a surprising win over Bayern before entering a 7 game slump that saw them drop into the relegation zone but Kurz’s men have resourcefully picked up their form in November that has seen them lose only twice in the last seven matches including an emphatic 5:0 win against Schalke. Kurz admitted that the fanatic support of the fans at the famous Fritz Walter stadium has played a big role in the team’s motivation. Despite their polarized form, no other team has been as active at the beginning of the match and at the end as Kaiserslautern. They have scored more goals than any other team in the first 15 minutes of the game, a total of 7. Even more interesting is the fact that they have scored even more in the last 15 minutes of the game, 8 to be exact. Kaiserslautern scored more than half of their goals in these two 15-minute periods, which shows that they start and finish strong but tend to flounder for the remainder of the match. It is precisely that period in the middle when Kaiserslautern conceded most of their goals, 21 of their 27 goals to be precise. Tiffert is playing the best football of his career this for Kaiserslautern. Best performer: Christian Tiffert. The former Stuttgart and Duisburg midfielder has had a fantastic first season for his new club. The 28 year-old midfielder is leading the assists charts and has been at the center of Kaiserslautern’s ambitions. Tiffert has always been difficult to categorize as a player. When he first emerged with Stuttgart he was played on the right in midfield but he never really settled into one position and was used as a utility attacking player for the most part. Years later at Kaiserslautern Kurz has accepted his all around game and instead of locking him down in one position has given him the freedom to play his game. In their win against Bayern for example, he played in front of a holding midfielder and just behind the playmaker/supporting striker. It essentially gave him the freedom and protection to roam and create and he was one of the biggest reasons for their win. Biggest disappointment: Kaiserslautern’s form has been erratic to say the least; they have had the two most glaring streaks in the league. If they want to avoid being sucked into the relegation fight again they need to reach some sort of consistency. They started and finished strong but have the third highest number of losses in the league due to that poor run midway through and that has to go down as a manager’s responsibility. Kurz has to keep his team motivated and concentrated all the way through and not allow them to get complacent otherwise Kaiserslautern will not shake their Jackyl & Hyde persona and always balance on the proverbial Bundesliga plank. Question – What does the future hold for Kaiserslautern? At this point one could say that Kaiserslautern is at the crossroads. Their results and performances so far could very well be summed up as a tale of two halves, or two sides rather. If Kaiserslautern regresses back to their September/October form they will surely be plunged into the relegation battle. On the other hand, if they maintain their current run of form and continue to start and finish games as strongly as they have so far they have a very good chance at exceeding expectations. They do need to maintain their discipline for 90 minutes though and find a way to be more consistent.